Clearview have built up a reputation for manufacturing and installing superb bi-folding door products across the whole of the country. Not only do these doors look great and help to provide additional light into the living space, they come with the highest levels of security. 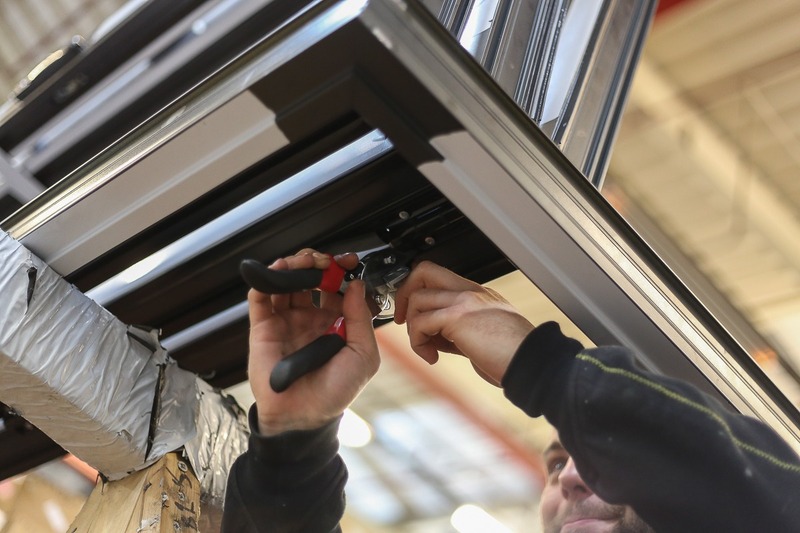 Our installation processes of all our bi-folding doors are very simple and detailed blow is a quick guide to how we achieve a secure bi-folding door. Firstly the door frame is positioned within the opening. During this process, the bottom part of the opening is packed to make sure the bottom track is perfectly level and flat. If this does not happen then the door will not concertina correctly. After the bottom of the frame is level, the sides of the frame are then also packed to make sure the outer framing is plumb and square. This process can be time consuming but should it not be undertaken correctly toe whole door will fair to work properly. Once we are happy that everything is in alignment with our bi-folding door frame, we start to drill into the fixing holes and tighten all the fittings to ensure there is no movement in the frame. Care must be taken at this stage to not distort the outer frame due to too much applied pressure. Once the frame is correctly inserted and tightened up, our team of specialists will then move on to installing the double glazed units. Firstly, a weather tight seal must be applied using top quality silicone such as Adshed Radcliffe sealants which are specifically designed for aluminium framing. Remove all the outer protective tape and clean to make sure everything has a neat and straight edge when the silicone dries and all the tape is removed. Finally, we make sure to check all the components on the door. This includes the anti-drill, pick and bump and multiple locking systems so that when we hand over the keys everything is in working order. So now you know how we install our bi-folding doors, why not check out how they can enhance your lifestyle by visiting our case studies or even our bi-folding door section. For more information about any of our products, please call Clearview on 0800 1357167. We can offer advice and help you design the best door or window for your home.